Ready to schedule an appointment to buy a home or sell a home, contact me directly here. Start your local real estate search with our featured properties. Curious about the market in your neighborhood? Here are some home trends in Mobile County and Baldwin County. Since getting licensed to sell real estate in 2007, I have enjoyed helping my clients buy, sell, and invest in real estate in South Alabama in both Mobile and Baldwin counties. I especially enjoy working differently than most local agents. With a full-time licensed assistant and a listing manager, we can help you navigate thru selling a home, buying a home, or both. "Mary is a great realtor! 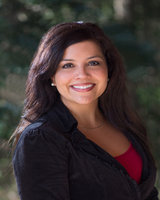 She is very knowledgeable on Mobile's market and willing to go above and beyond for her clients! She helped us to sell our house quickly and is continuing to help us search for our dream home or property!"